This month Azure Foods founder Alexandra Littaye was interviewed by Enterprising Oxford. Here’s the text of the interview. Alexandra Littaye is the founder of Azure, the first distributor of a Mexican superfood made of blue corn called pinole.  Azure is a social enterprise that is dedicated to sourcing blue corn from indigenous farmers, lifting them out of poverty and contributing the preservation of their cultural practices and of Mexico’s rich agro-biodiversity. Azure is at the start-up phase having started 3 months ago. Alexandra is seeking seed money and an advisory board to launch. She recently finished her PhD at Oxford University. Since, she has worked at the Smith School of Enterprise and the Environment as a Development and Research Associate. She has also lectured in the Middle East on philosophy. Q: What is your background? What made you decide to become an entrepreneur? A: I’m an academic by trade. I finished my PhD at Oxford on pinole and blue corn producers. Previously, I’ve taught philosophy to undergraduates in the Emirates. I also became a semi-serious amateur boxer, winning regional and national championships. I decided I could apply the grit and aggressive confidence I developed in the ring to the issues I explored in my PhD. Entrepreneurship fits like a glove. A: Having a novel idea for a product and finding creative ways of making it into reality. Q: How and when did you know your idea was good enough to develop it? A: Half way through my PhD. I saw the concept of selling blue corn pinole tested in the US with success. There was a huge gap in leadership and organisation I believe I could fill. After finishing the PhD, I received funds to start. When someone is willing to give you cash because they believe in you, you know you are onto something. Q: So what would you say are the top 3 skills that needed to be a successful entrepreneur? Why? A: Grit – it’s a lonely endeavor when you’re a team of one and the first believer of your idea. You also need to know how to persevere despite getting rejections, fallbacks and when you’re strapped for cash. Adaptability – your ideas and strategies need to pivot quickly in order to respond to demand. It’s important to keep true to your vision but you need to know how to go with the flow when you discover more and more about your target audience. A: I get to turn my ideas into reality. A: Aduna – they’ve put baobab on the map of superfoods. I love their work with women in Ghana and that they’ve managed to stay both exciting and true to their core as they grow successful. A: How did you know where to start!?? A: Getting approached by 7 MBA students from the Said Business School to work with Azure. Q: What would you say have been some of your mistakes, failures or lessons learned as an entrepreneur? A: Don’t think that friendship is a proof that you work well together. Q: How have you funded your ideas? Are there any sector-specific awards/grants/competitions that have helped you? A: I received prize money from Oxford University Innovation Challenge. I also received a private donation that helped me set Azure up. A: You are surrounded by incredibly competitive and hard-working individuals who are interested by a whole wide range of things. This keep you sharp and constantly intrigued. Oxford can be a little difficult to navigate. You need to keep up to date with everything going on, the deadlines, the grants etc. Q: If a new entrepreneur or startup came to you looking for entrepreneurship resources, where would you send them? A: Oxford University Innovation, Skoll Center, Enterprising Oxford. A: It’s not about your product. It’s about what your consumer wants.